At Somerset Stairlifts & Mobility, we offer a wide range of reconditioned stairlifts for sale. We keep most popular models in stock. You can test-drive and try them all out for size in our showroom. Reconditioned lifts can be quickly and easily fitted, and supplied with a one year warranty. For people with mobility issues, a modern stairlift can be vital for maintaining independence in a much-loved home. Forget struggling up and down stairs – with a newly-installed stairlift, you can glide to each level with ease. Stairlifts can be easily installed in less than one day, inside or outside, without costly or unsightly modifications to your home. They are simple to operate and can be folded away so they’re not a hazard for the rest of the family. Somerset Stairlifts & Mobility specialises in the supply and installation of a wide range of new, rental and reconditioned stairlifts. We pride ourselves on offering a personal, friendly and reliable service at highly competitive prices. 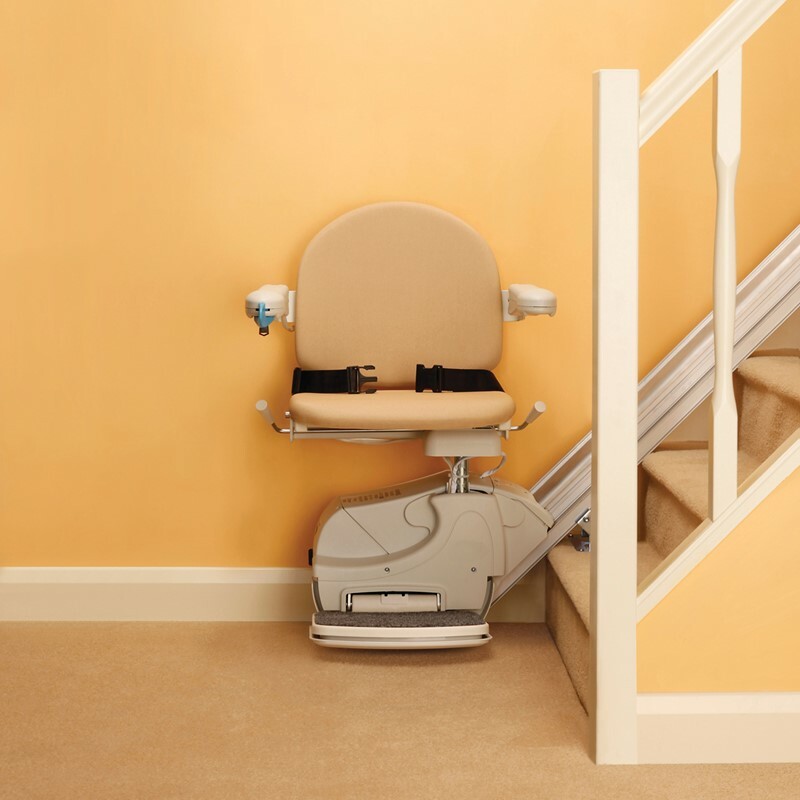 From your first telephone call or visit – a stairlift can be installed within a few days. A reconditioned stairlift can be the ideal solution where budgets are an issue – after an initial conversation and selection in our showroom, we visit your home survey the stairs and prepare the component parts for installation. In our showroom we have eight different stairlift styles set up for our customers to try out, so before you make up your mind, make sure you visit our showroom and take a few stairlifts for a test drive. We always have a wide range of both new and reconditioned stairlifts for our customers to view in stock. Our showroom is open from Monday to Friday from 9.00am to 5.00pm and from 9.00am to 1.00pm on Saturdays. We are easy to find in Frobisher Way TA2 6BB, just of Bindon Road (near the Silk Mills junction) – with car parking spaces just outside our showroom. * Please note: all of our stairlift prices are subject to a home survey and can change depending upon the complexity or size of your staircase – this is a free service with no obligation to purchase. All of our stairlifts are bespoke – as part of our offer we visit every home, survey the structure and shape of your staircase, discuss the colour, shape and finish your require, thereafter we manufacture the component parts to fit your staircase perfectly then deliver and install the stairlift to your satisfaction. We have been providing stairlifts and mobility aids for our customers in Taunton and across the South West for over twenty years. We have reputation for quality, value for money and customer service. We have a team of experienced professionals who understand the different needs of our customers and work hard to help improve your quality of life.